Remarkable 1 Ltr. 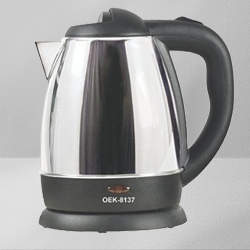 Prestige Electric Kettle in Unique Design Cool Designer Prestige 1 Ltr Electric Kettle Prestige PKPW 0.6 Electric Kettle Jaipan Electric Kettle 1.0 Ltr. Flower to Shahdol, Send Gift Hanumangarh, Sending to Sirohi, Send Flowers and Gifts to Korba, Ranchi Online Cake Delivery, Send sweets Sirohi, Birthday Delivery Alibag, Diwali Mithai Dewas, New Year Flowers Gondia , Flower shop Sirsi, Online Shop Baramati, Wedding Cake Jhajjar, Fresh Fruits Birbhum, Sari Delivery Palghat, Watches to Kozhikode.